This entry was posted in Whose Kafka? 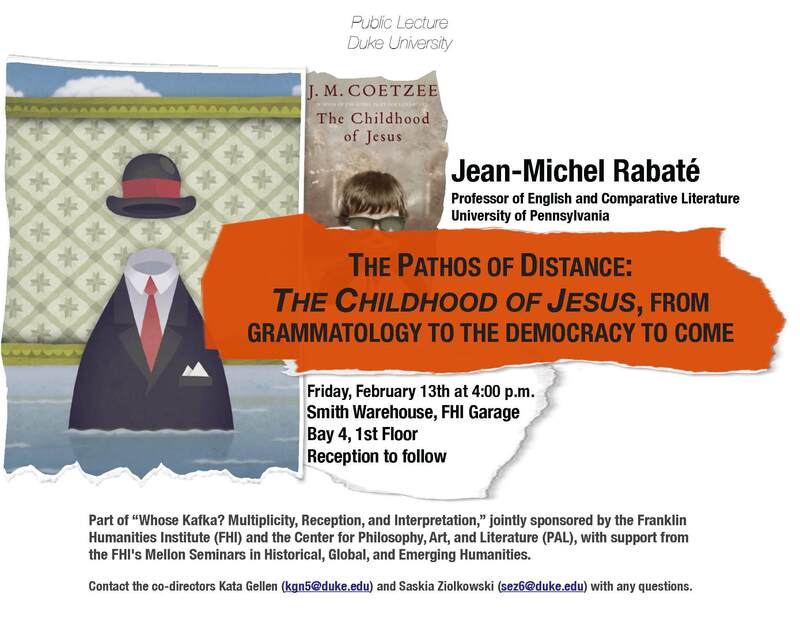 and tagged "Center for Philosophy, coetzee, Rabaté, The childhood of jesus by SEZ. Bookmark the permalink.